What are various types of picture formats. 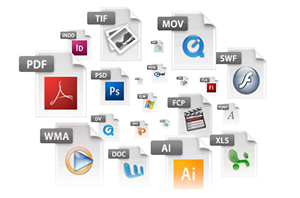 Graphics file formats are mainly differ as raster formats and vector graphics. Below, some of the raster formats have been described. GIF (Graphics Interchange Format) : GIF format suitable for storing graphics with relatively few colors such as simple diagrams, shapes, logos and cartoon style images. The GIF format supports animation and is still widely used to provide image animation effects. GIF support transparency, progressive rendering, and lossless compression. JPG/JPEG (Joint Photographic Experts Group) : JPG images are less flexible than GIF images and they do not support the variety of rendering. But JPG supports millions of colors, thus these photos are good for photography. Under less compression, the file size will be low and faster to download. PNG (Portable Network Graphics) : PNG image combines most of the advantages of GIF, including transparency and interlacing, plus the ability to accommodate millions of colors and a tight, lossless compression technique. The PNG file excels when the image has large, uniformly colored areas. BMP (Windows Bitmap) : The BMP file format (Windows bitmap) handles graphics files within the Microsoft Windows OS. Typically, BMP files are uncompressed, hence they are large; the advantage is their simplicity and wide acceptance in Windows Programs.